I was born in Sydney in 1973, to a Greek mother and Australian-Irish father: on the same day as my sister, who was eight years older than me. My first novel, THE GLASS HEART, was published by HarperCollins in 2000 and reprinted in 2001, with Greek rights sold in the same year. In 2005 I gave birth to a beautiful daughter. In 2009 I was diagnosed with a melanoma, with my sister dying of the same cancer the following year. This has strengthened my resolve to live each moment fully. I've travelled numerous times to Armenia, Turkey, Lebanon and Syria to research my current novel, BONE ASH SKY, which I began with the aid of an Australia Council for the Arts grant and a residency at the Tyrone Guthrie Centre in Ireland. An earlier version of BONE ASH SKY was shortlisted for the Writing Australia Unpublished Manuscript Award. This novel was published in May 2013 in Australia/NZ and the UK by Hardie Grant Books, spearheading their new fiction list. My novella INTIMATE DISTANCE was one of the winners of the Griffith Review/CAL Novella Prize and published in 2012. Being in Greece with my parents for Christmas when I was ten; reading on cold winter nights in my grandmother's mountain village; picking oranges and lemons in the citrus orchards. I was seven years old and wrote my first 'story.' I remember there was a princess in it who was 'wondrous.' After that, I would go around telling people that I wanted to be an 'authoress' when I grew up. If I had to narrow it down, probably Tolstoy. Your published works show an evolution in your writing that usually points to an evolution in an individual. Have you noticed this and how best would you describe your own advancement in your writings? I have changed and grown since my first novel 'The Glass Heart.' I have had a child, lost my sister to melanoma and been diagnosed myself with the same cancer. It changes my perspective on life and writing. I realise what matters now: family and love, everything else is ephemeral and unimportant. Your first novel The Glass Heart (2000) was based on your grandmother’s life in Greece during the wars. BONE ASH Sky, your second novel, is about the genocide in Armenia. What was the catalyst for deciding this would be the subject of this work? I felt that the story of the suffering of the Armenian people was a forgotten history, at least in the West. I also strongly felt that this first Holocaust of the twentieth century deserved to be told in as epic and comprehensive a way as possible. How difficult was it to write about these atrocities (did you have bad dreams)? I have become good at divorcing my writing life from my 'ordinary' life. When I'm writing, I'm almost in a trance, completely in that fictional world. So when I switch off, in a sense I have no recollection of the person I was when writing those scenes of massacre and genocide. Intimate Distance (2012) was one of the winners of the Griffith Review/CAL Novella Prize. This character portrait and your inclusion of Greek heritage and ethos and linking these to a contemporary Australia must in part reflect your own experience of the world while growing. The connections share insights into our country and a more intimate and Australian/Greek voice. Is this your aim or ? My aim in writing 'Intimate Distance' was to explore what it feels like to move between two worlds and not belong to either - which was indeed my experience growing up. I was also interested in pushing extremes in the novella, in terms of relationships and connections, narrative structure, illness and death. Bone Ash Sky (2013) once again focuses on a part of our human histories people avert their eyes from. Why have you written this one? I am interested in people's motivations; why they do what they do. So 'Bone Ash Sky' was a vehicle for that. Through the characters and their trajectories, hopefully the reader gains more empathy for suicide bombers, refugees, soldiers, the displaced and suffering. There are no victim or perpetrators. Nothing is black or white. Hopefully readers come away from my book feeling that people are more similar than different in their needs and desires. What was the most horrifying part of writing this? On the opposite side of this ledger; What is the best thing personally and professionally Bone Ash Sky has brought to a) you and b) to the world? It's hard to answer this as the book has only just been published. For me, it is the culmination of a ten-year journey. Who knows what the coming year will bring? And I can't answer for the world! A dolphin, riding the waves and sunlight down at Avalon Beach. You are a Pittwater Lady and swim every day. What is your favourite place in Pittwater and why? At this stage in my life, I would have to say Avalon sea-pool. I have my winter swimmer tribe down there, and I also love being the only person in the pool in winter, when it's so clear and beautiful. 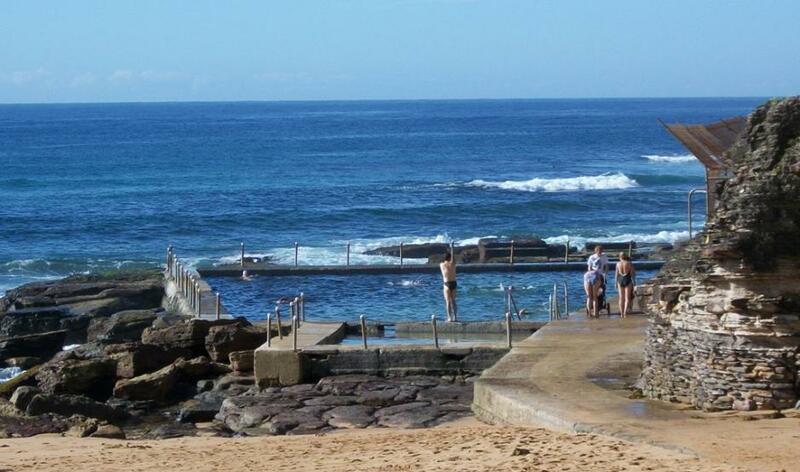 I'm also drawn to Mona Vale beach, the way that the sea-pool is set right in the middle of the ocean. Being with the moment, and in the moment. Knowing deeply that this is all I have; this present time, and trying to immerse myself in it wholeheartedly. I should like to see any power of the world destroy this race, this small tribe of unimportant people, whose wars have all been fought and lost, whose structures have crumbled, literature is unread, music is unheard, and prayers are no more answered. Go ahead, destroy Armenia. See if you can do it. Send them into the desert without bread or water. Burn their homes and churches. Then see if they will not laugh, sing and pray again. For when two of them meet anywhere in the world, see if they will not create a New Armenia. - William Saroyan – (August 31, 1908 – May 18, 1981) Armenian American dramatist and author. BONE ASH SKY is the sweeping story of an American journalist who goes home to unravel four generations of war and genocide, love and renewal, in Turkish Armenia and modern-day Lebanon. When Anoush Pakradounian steps off a boat and feels Levantine heat on her cheek like a caress, she thinks she knows where she's going: she thinks she knows who's right and who's wrong. Yet nothing about her family's past is black and white. In 1915 one million Armenians were marched into Syria by Turks and killed in the first genocide of the twentieth century. In 1982 Beirut came under siege for three months and 18,000 civilians died, while another 30,000 were wounded. Anoush's quest for answers is interwoven with the memory of ruined cities and vanished empires: Lake Van before the genocide, Beirut in civil war, Ottoman villas and desecrated churches, Palestinian refugee camps and torture chambers turned into nightclubs. Her search to find out the truth about her father, her grandparents and her own place in the story spans four generations and massive upheavals in the Middle East. With echoes of Barbara Kingsolver's THE POISONWOOD BIBLE, Thomas Keneally's SCHINDLER'S LIST and Geraldine Brooks' THE PEOPLE OF THE BOOK, BONE ASH SKY is a powerful work that examines family, loyalty, love and secrets long-hidden in the horror of war and displacement.